Vendors of software and services for museums, archives and libraries exhibit their products and discuss their work at Museums and the Web. 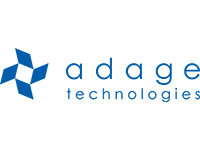 Adage Technologies is an award-winning design and development firm with expertise in web design and development, mobile applications, custom software, and e-commerce solutions. Our clients include some of the world's leading museums and cultural institutions, including Chicago's very own Shedd Aquarium. 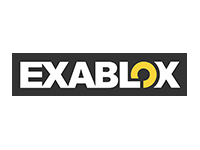 We help organizations better engage with their patrons using websites built on leading content management systems that we connect with your core applications, including CRM and marketing automation systems. Our ACE Platform is a complete Tessitura solution for museums which seamlessly integrates your website's content with Tessitura. Art Processors are a technology company that specializes in providing world-leading mobile experiences for museums, art galleries and other cultural institutions. Formed in Australia in 2011, Art Processors opened their first US office in San Francisco in 2014. 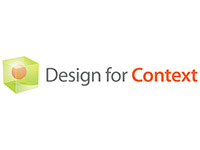 With strong in-house research and development capabilities Art Processors has invested heavily in the creation of a flexible content delivery platform and indoor positioning system that is ideally suited to powering best-practice, highly scalable mobile experiences that integrate with your existing technology to engage your digital audience. 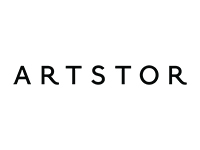 Artstor is a nonprofit organization that uses digital technology to enhance scholarship, teaching, and learning. The Artstor Digital Library provides over 1.8 million high-quality digital images and comes with an accessible suite of software tools for research, and the ability to instantly create PowerPoint presentations. 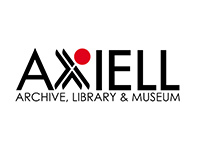 Collections come from outstanding international museums, libraries, photo archives, and more. 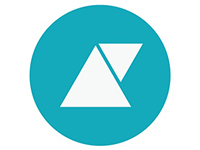 Shared Shelf enables users to catalog, manage, and share their media collections with ease, and permits unlimited users to create rich and consistent data records quickly and simply. Files are backed up safely in accordance with NDSA standards. 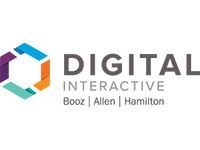 Digital Interactive, within Booz Allen Hamilton, is an award-winning team of innovators bringing clients strategy, creativity, and analytical/technical prowess in the digital everything space. We create solutions for our clients' complex market challenges that blend unparalleled mastery of digital technology and brilliant creative flair to craft immersive brand experiences that forward our clients' business goals. Google has partnered with hundreds of museums, cultural institutions, and archives to host the world’s cultural treasures online. 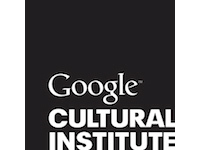 With a team of dedicated Googlers, we are building tools that allow the cultural sector to display more of its diverse heritage online, making it accessible to all. Through our tools and platforms you can find artworks, landmarks and world heritage sites, as well as digital exhibitions that tell the stories behind the collections of cultural institutions across the globe. We're eager to speak with you! We'll be at our booth during exhibitor hours, or please schedule a convenient time to talk. We don't just make mobile apps, we create Museum experiences. 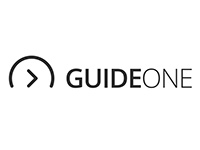 Since 2009 GuideOne has been creating exceptional gallery audio guides, kiosk exhibits, and docent aids that allow your visitors to more deeply yet organically connect with your content and Museum. From strategy to design to implementation and support, we can help you enhance your visitor experience and extend the reach of your institution. 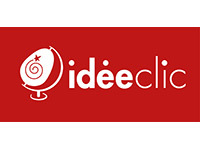 Idéeclic is a Canadian pioneer in digital technology for heritage, the arts and science and education through discovery and interactivity.Idéeclic is an expert in design, Web, interactivity and multi-platform development for mobile Apps.Idéeclic stands out due to its combined skills, namely:Its sensitivity to content, clients and messages authored by cultural and museum organisations.Its expertise in the development of interactive approaches that foster learning and the creation of values.Its mastery of information technologies and interface design. 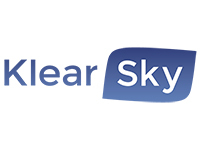 KlearSky focuses on developing creative and functional websites, as well as providing strategy, training, and project management services for non-profit organizations, and specializes in the Tessitura application (client and API). 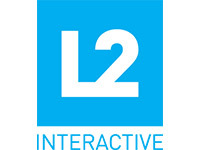 L2 Interactive, a digital agency, provides products and services to a wide range of museums and arts organizations around the world including the EMP Museum, Kohler Arts Center, Metropolitan Museum of Art, Museum of Old and New Art, New-York Historical Society, SFMOMA, High Museum and many more. Our services include Website Design & Development, SEO & SEM, Website Hosting and Email Marketing. Our product suite includes: mail2, our Tessitura integrated email marketing tool used by 150+ organizations, erube2 our CMS and cloud2 our PCI website hosting solution. L2 has been in business for 25 years and has a track record of success. 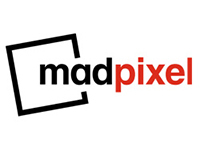 Madpixel is focused on providing innovative digital solutions for museums. 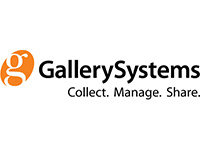 We are the company leader in art gigapixel images, with captures in more than 150 museums in many different countries. We are also the company developer of Second Canvas, and Madgazine. Second Canvas is a cloud platform to easily create mobile apps integrating innovative features such as gigapixel images, storytelling, treasure hunts and more. Madgazine, a SaaS platform too, is the solution to create multi-device publications: web, iOS devices and Android devices. Prado Museum, Thyssen-Bornesmiza Museum, Spanish National Library or Fundacion Banco de Santander are some of our clients. PARAT Solutions designs and manufactures products that charge, synchronize, store, transport and secure large-scale deployments of handheld and tablet mobile devices. PARAT Solutions collaborates with many leading content and application developers and has had the privilege to be part of projects at countless museums, historic homes, botanical gardens and other cultural destinations the world over. 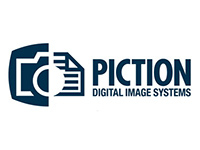 Piction is a leading provider of Digital Asset Management and Content Distribution solutions to the museum sector. Our platform is tailored specifically to address key requirements of museums including:- integration with collection management systems- automated common workflows such as object photography request, event photography request and image/asset clearance- integration with web content managements systems- management of traditional media types and emerging types- e-business for managing licensing or cost recovery based initiativesSome of our clients include Cleveland Museum of Art (used in Gallery One project), Balboa Park Online Collaborative, Toronto International Film festival, The Jewish Museum, Dallas Museum of Art and National Museum of Australia. Ruckus Wireless is a pioneer in the wireless infrastructure market, enabling enterprises to stay ahead of the exploding demand for high-bandwidth applications and services. 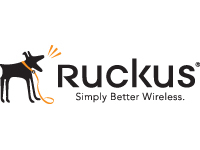 The Ruckus Smart Wi-Fi technology redefines what’s possible in wireless network performance with flexibility, reliability, and affordability. We call this Pervasive Performance. 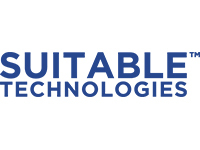 We've been singularly focused on Pervasive Performance in wireless since beginning operations in 2004, and we continue to lead the industry in performance innovation. We have never relied on off-the-shelf, reference design radio technology – it just doesn’t deliver the capacity, range or interference mitigation necessary to make high performance wireless a reality. 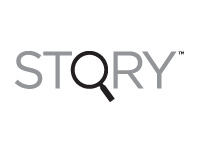 STQRY (pronounced “story”) is an innovative, storytelling platform that offers “in-the-moment” mobile and digital experiences for museums and other art & cultural organizations. Venues may easily create their own beautiful and multi-media rich mobile apps through our intuitive CMS. Additionally, we offer museums a way to create delightful, location-based experiences for their visitors using our cross-platform SDK that may be “plugged into” any existing app. With our SDK, organizations may provide indoor positioning, mapping, wayfinding, automatic language translations, and truly personalized on-site and off-site experiences for their visitors. Referred to as simply "Beam," Suitable Technologies’ Smart Presence™ Device (SPD) is a remote presence device that off-site visitors can use to explore your museum and interact with fellow patrons. With Beam, real-time access is now available to the physically disabled, remote school groups, and visitors from around the world. Tessitura's industry-leading solutions for Admissions, Memberships, CRM, Marketing, Online Transactions, Access Control, Business Intelligence (and more) is utilized by some of the country's highest-profile museums and cultural attractions, including the American Museum of Natural History, the Metropolitan Museum, Shedd Aquarium, Museum of Science Boston, EMP Museum and the Cooper–Hewitt, Smithsonian Design Museum. Our sophisticated API is included and can be used as a platform to help museums enjoy the advantages of a true enterprise-wide solution. 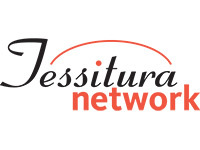 Tessitura Network is a non-profit, member-owned cooperative that fosters open communication, learning and sharing among all its worldwide members. MediaHaven is a versatile cloud based platform developed by Zeticon, that helps you manage digital media content. Having one central repository for your organization which allows you to store, search and retrieve all possible media files of your organization gives you a competitive advantage. Our users have been able to reduce the time to integrate media content in their websites, cut the time to create a mobile app based on their existing media files in half and reduce the average time to search for the content they need from hours to seconds. MediaHaven offers a web-interface to manage the content.